When kids are learning, they are way too serious about the things they are doing. They focused their attention into something as if you they look way too serious. It looks fun to watch them and so my son likes the same thing. 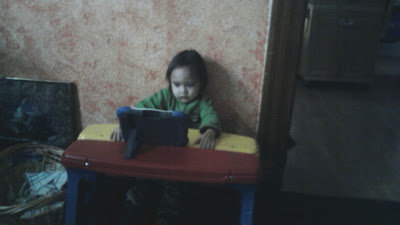 I think he was just 2 years old this time and it was the first time we’ve got him his Innotab. Our birthday gift for him as he was on the stage to start playing and watching his favorite TV shows. I bought a card so I could download more of the videos, so he could watch them anytime he wants to. I gave him an hour to play with that device, and then we play with his other toys. He look so engrossed in what he is watching..